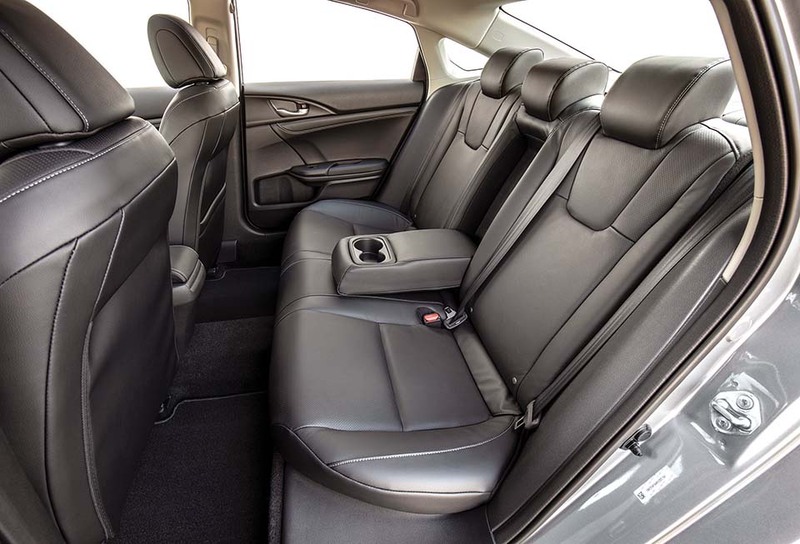 A sleek, comfortable and fuel-efficient five-passenger Honda might seem like nothing out of the ordinary, but the 2019 Insight Hybrid raises the bar. The same can’t be said for previous Insights, however. The original two-door hatchback (2000-’06) was thrifty, but was too tiny and weird looking to gain much of following. The second-gen four-door hatchback (2010-’14) was practical, but it was a lackluster driving machine and ultimately no match for the Toyota Prius in terms of fuel economy and sales. The new 2019 Insight gives Honda a shot at redemption. 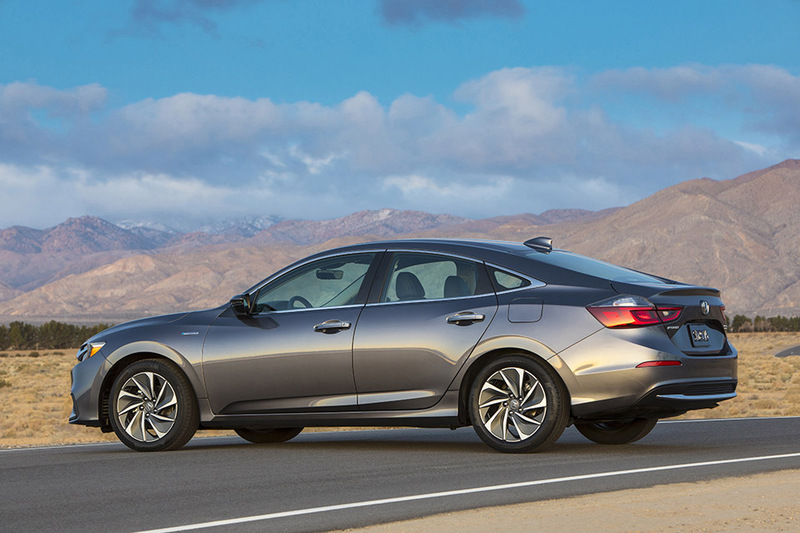 It also provides a triple-threat in the gasoline-electric category, alongside the Accord Hybrid and Clarity plug-in. 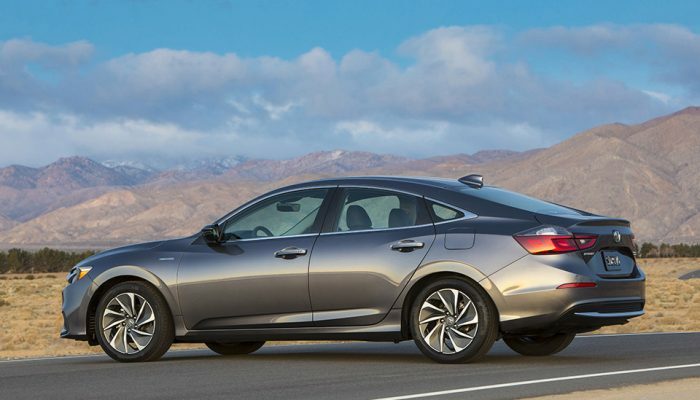 The Insight could easily have been called the Civic Hybrid since only minor modifications were made to that model’s body structure, sheetmetal and grille/LED headlight combination. The Insight is a pretty little thing, with a wide, low-slung appearance. The Insight’s interior is more upscale that the Civic’s, with transmission-control switches on the centre console replacing the traditional gearshift handle. It’s the same size in there, too, and the front seats are supportive. The battery is discreetly packaged down low so that the rear seatbacks can still be folded forward for extra pass-through cargo space. The Insight looks and feels just like a normal car . . . a normal Civic car. The drivetrain consists of a 107-horsepower 1.5-litre four-cylinder gasoline engine plus two electric motors. The electric drive motor generates 129 horsepower and 197 pound-feet of torque, while the secondary motor electric motor acts as a starter as well as a generator. Net output for the system is 151 horsepower. The uniqueness of the system is that the gas engine only operates on its own when the Insight is cruising at steady-state highway speeds. Otherwise, the electric motor does the heavy lifting by driving the front wheels alone through a direct-drive controller. 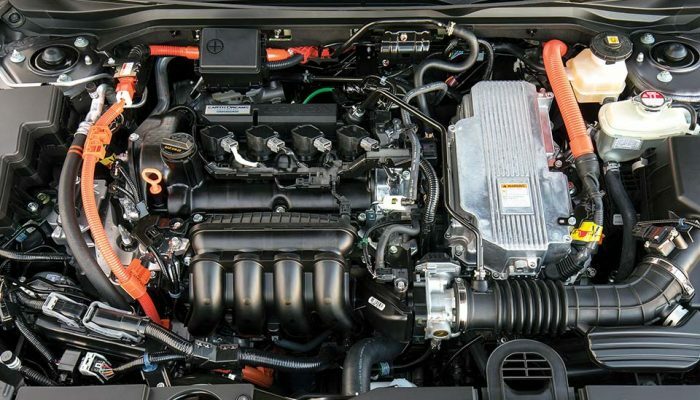 The four-cylinder’s key role is to generate electricity for the battery pack. In EV Drive mode, the electric motor is working solo, but only for about 1.5 kilometres or so before the gasoline engine kicks in to replenish the batteries. Low-speed stop-and-go traffic is when EV Drive comes in handy. Regardless of mode, the system works so seamlessly that the only time you hear any appreciable noise is when you get aggressive with the throttle, which raises the pitch of the four-cylinder engine. It sounds like there’s a continuously variable transmission working, but that’s not the case. A special lock-up clutch is used to direct electric torque to the front wheels while the engine revs up to create more electricity. Fuel economy rings in at 4.9 l/100 km in combined city-highway driving, a bit lower in Sport mode and slightly better if the Econ button is selected (the default is Normal). At 1,380 kilograms — only about 90 more than the non-hybrid Civic — the Insight feels light on its feet. From a dead stop, initial acceleration is immediate and smooth. Unlike the previous Insight, the suspension smooths out the road ripples and keeps the car well planted in the curves. The steering has just the right heft to it, not too heavy and not too light. Pricing for the base Insight, including destination charges, is $29,800. 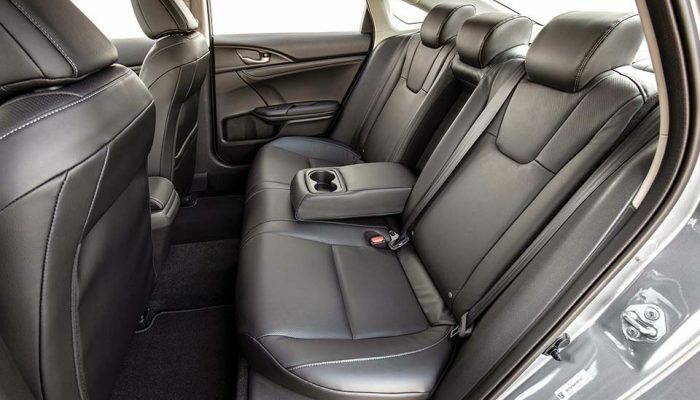 For that, you get heated front seats, 20-centimetre touchscreen with Apple CarPlay and Android connectivity and an assortment of active-safety technology that’s bundled under the Honda Sensing name. The Touring adds a power moonroof, premium 452-watt 10-speaker audio system with navigation and perforated leather-covered seats (heated front and rear). Ultimately, the best case for choosing the Insight over its primary Prius competitor might be that the Honda looks like a normal car. That and providing an advanced powertrain that saves gas while running strong. Market position: This is Honda’s latest attempt to close the hybrid gap with the front-running Toyota Prius. The Insight stands a good chance of succeeding since it trades on the popular Civic’s looks and platform. Points: Design modifications to the Civic’s sheetmetal have made an attractive car even better, but using a sedan and not a wagon or hatchback body might be risky. 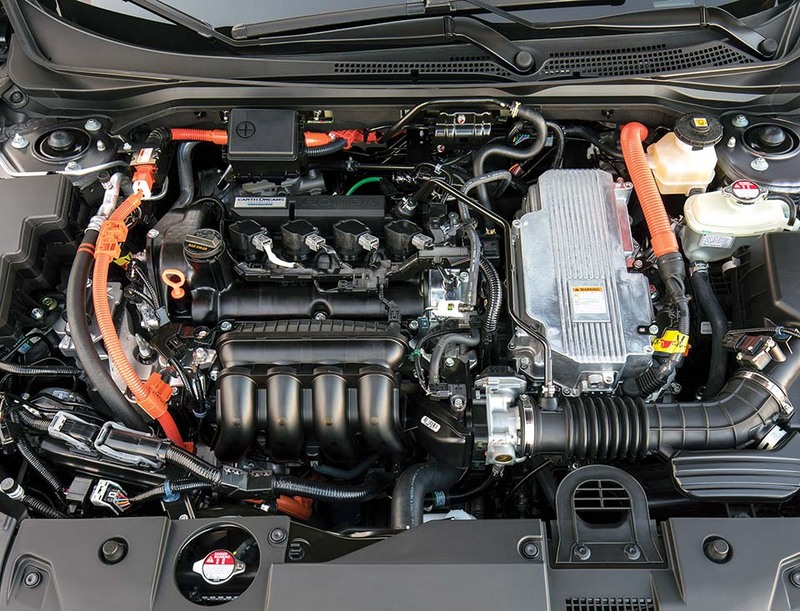 • Advanced two-motor hybrid system delivers power and great fuel economy. • Even the base model has active-safety tech. only time the electric drive motor is not operating is at steady-state highway speeds. If the Insight is based on the Civic and even looks like a Civic, why not just call it a Civic Hybrid? Thrifty car uses a six-speed transmission. Plug-in and electric versions available. Popular hybrid looks different, but it’s efficient. The Prius Prime is a plug-in. Wagon-bodied model uses the same hybrid powertrain as the Hyundai Ioniq.